In its second year, the Governor’s Challenge pits high school basketball teams from Maryland against ones from Delaware. 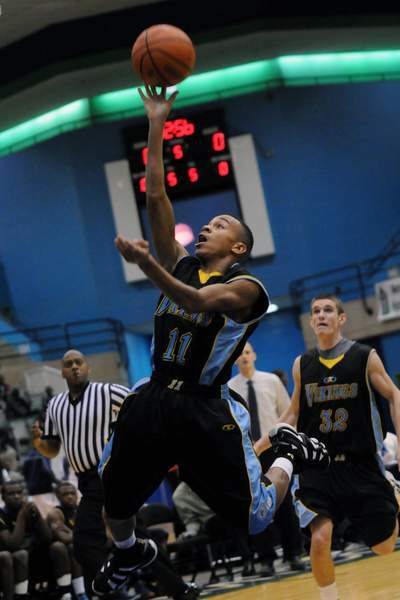 The games were played at the Wicomico Youth & Civic Center in Salisbury on December 26-30. Maryland and Delaware teams have been playing in a holiday tournament in Salisbury for decades, but in 2010 Governor Martin O’Malley raised the stakes by issuing a challenge to Delaware Governor Jack Markell, wagering a Maryland Smith Island Cake for a Delaware Peach Pie. And so was born the Governor’s Challenge. In it’s inaugural year, Governor O’Malley surrendered a Smith Island Cake to Governor Markell, as Delaware won the challenge. 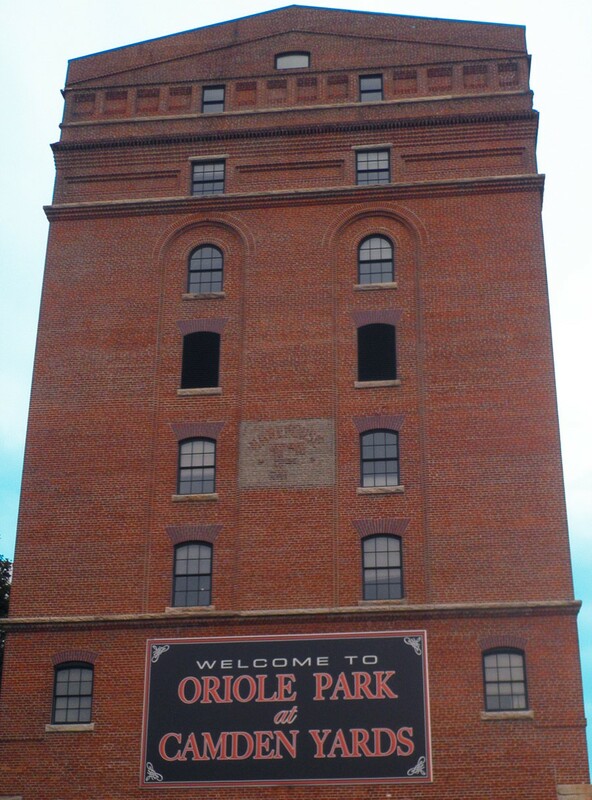 This year, both states vied for the M&T Cup and state bragging rights. Over 20 teams from Maryland’s Eastern Shore and Delaware competed for the featured cup. Governor Markell will be enjoying another Smith Island cake, as Delaware beat Maryland 13-10. A couple more challenges were added to this year’s tournament to bring in more teams. One of the bigger draws over the four-day tournament was the East Coast Challenge. The East Coast Challenge pulled together four of the region’s top-seeded high school basketball teams: Norfolk Christian High School (VA), Red Lion Christian Academy (DE), St. Johns College High School (MD) and Paul Laurence Dunbar High School (MD). While no official winner is named, Dunbar went 3-0 in the challenge. The other challenge was the Dr. Pepper 10 Cup that featured ten teams from across the state playing against each other. This tournament gave teams the chance to play schools they would have otherwise never had the opportunity to play against. Three schools went 2-0 in the competition, J.H. Blake, Easton High and Thomas Stone. While the Governor’s Challenge pitted states against each other, the Chesapeake Bowl brought stand-out high school senior football players from Maryland, Virginia, West Virginia, Delaware, Pennsylvania, New Jersey and the District together. 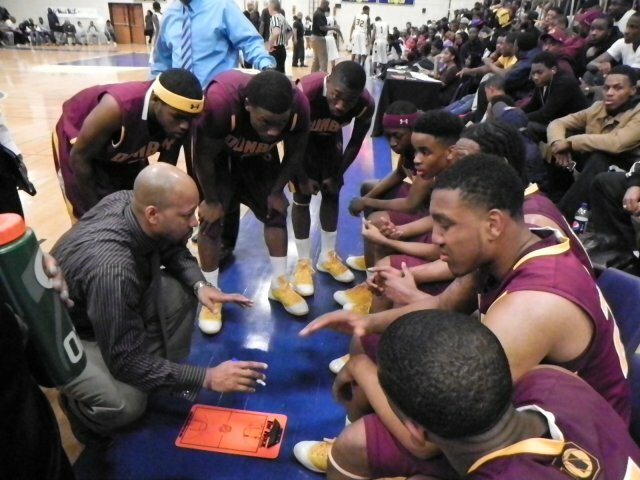 This year’s match-up took place at South River High School in Edgewater. The North squad, comprised of players from Delaware, New Jersey and Pennsylvania, emerged victorious with a 28-17 win over the South squad featuring players from Maryland, Virginia, West Virginia and Washington, DC. The gridiron battle, now in its second year, has been dubbed “The Civil War”. 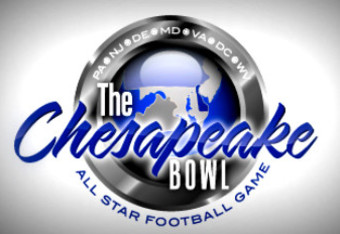 Four players who participated in the Chesapeake Bowl will be playing in upcoming national high school all-star games, as well. Eddie Goldman of Friendship Collegiate Charter School in DC, Ronald Darby of Potomac in Oxon Hill, and Wes Brown of Good Counsel in Olney will be playing in the Under Armour All-America Game on Thursday (7:30pm, ESPN) and Stefon Diggs of Good Counsel in Olney will be playing in the US Army All American Bowl on Saturday (1:00pm, NBC). Diggs has been heralded as one of the nation’s top ten recruits. While some of the seniors have received national attention, others were using this all-star match-up as a chance to showcase their talent. Many of the players have already committed to play at the collegiate level, while others are still debating where they’ll spend the next four years and will make their decision closer to National Signing Day. Events like these are created to showcase the great talents of some of the state’s elite high school athletes. It gives them the platform to shine in a much bigger spotlight.